This elegant ice bucket is made of PS. 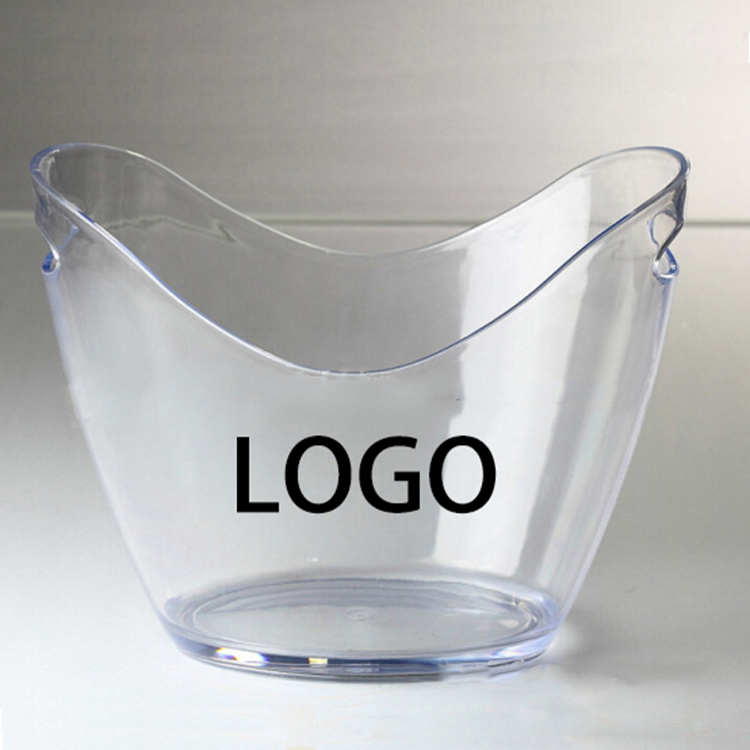 In summer, this bucket is widely used in many occasions such as indoor, beach, cookout, parties and so on. Custom logo and color are available. Great for companies to advertise their brands. Price includes 1 color, 1 side and 1 location. Package: 1 pc/opp bag, 20 pcs/ctn, 42 lbs/ctn. Imprint Size: 3 7/8" X 2 3/8"